Aquafadas, leader in digital publishing and app creation, part of French Tech, today announced they were becoming a major subsidiary of Rakuten, a global internet services company and operator of Japan’s leading online shopping mall, and appointing Yasufumi Hirai as Chairman and Koichiro Takahara as CEO. The new team will work closely with Aquafadas senior managers Thomas Ribreau (new CTO) and Florian Lemoine (new CIO). The new leadership will focus on expanding Aquafadas Mobile Apps and Digital Publishing System as a central aggregator of various Rakuten B2B and B2C services. These solutions will enable Rakuten to develop innovative tools for corporations who want to accelerate their business with digital systems. 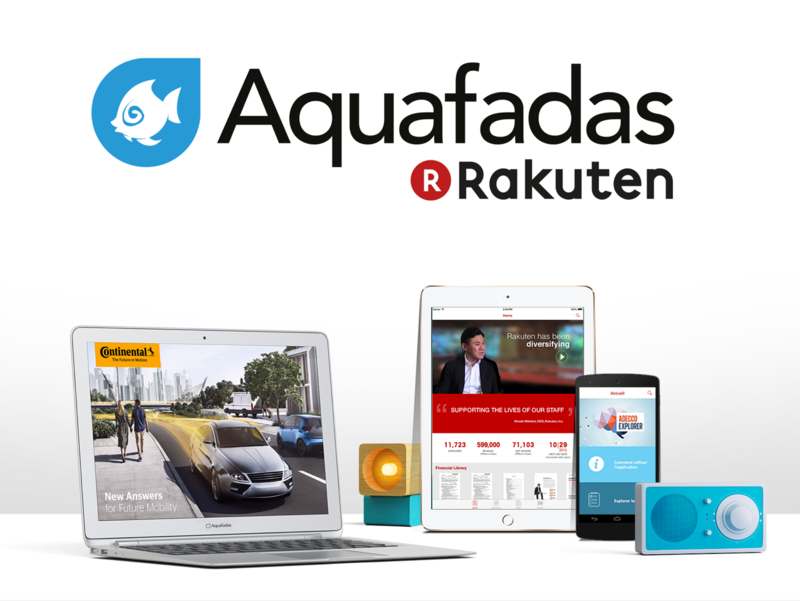 Becoming a major subsidiary of the Rakuten Group has a significant strategic importance for Aquafadas in opening new B2B opportunities. Yasufumi Hirai is Executive Vice President, CIO/CISO (Chief Information Security Officer) and Media & Communications Company President at Rakuten Group. 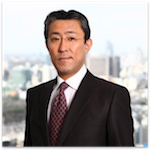 Prior to joining Rakuten, he has held positions at Cisco Systems G.K, Microsoft Co., Ltd. (currently Microsoft Japan Co., Ltd) and IBM Japan Ltd.
Koichiro Takahara is Executive Vice President at Overdrive, a Rakuten Company, and part of Rakuten Global Digital Contents & Communications. Prior to joining Rakuten, he served as Business Planning & Operations Director at SAP. In recent years he has been working closely with Aquafadas as their representative within the Rakuten Group. Claudia Zimmer and Matthieu Kopp, the co-founders of Aquafadas, will step down and take the role of advisors overseeing the transition with Koichiro Takahara and Thomas Ribreau.